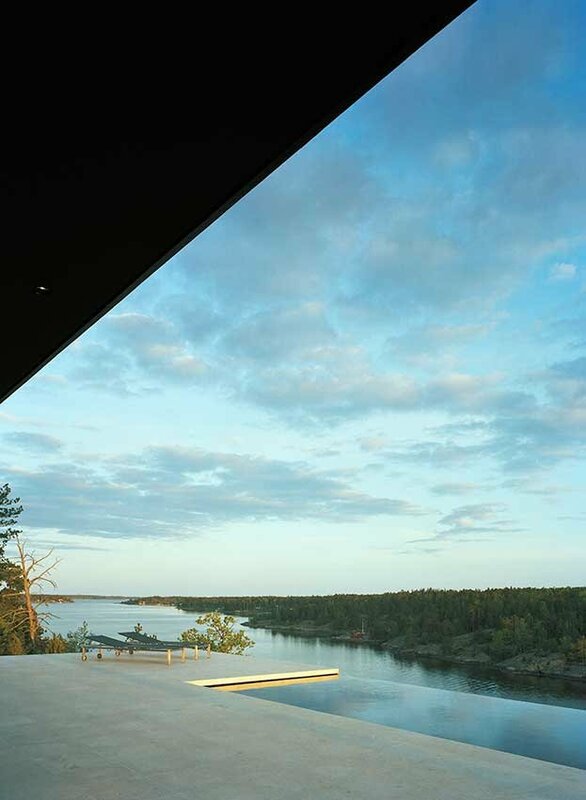 Situated atop a rocky headland on a natural plateau, the villa enjoys beautiful panoramic views across the Baltic Sea bay and the setting sun. 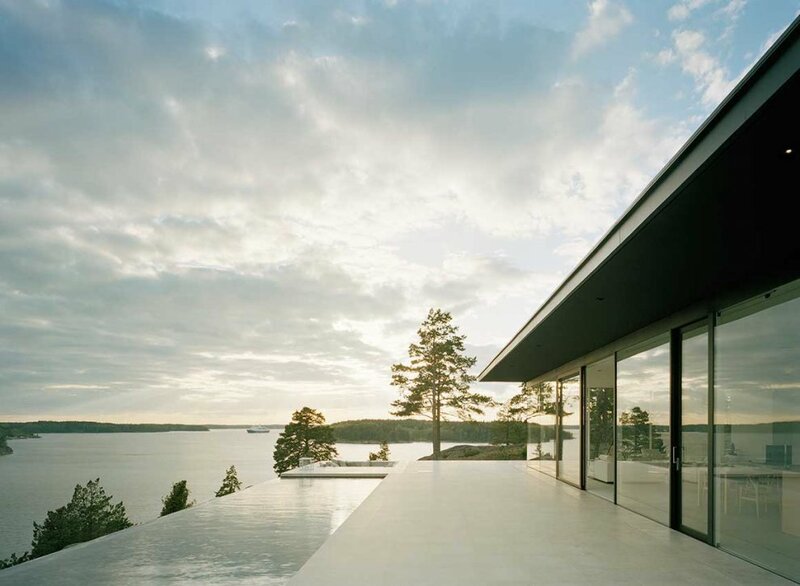 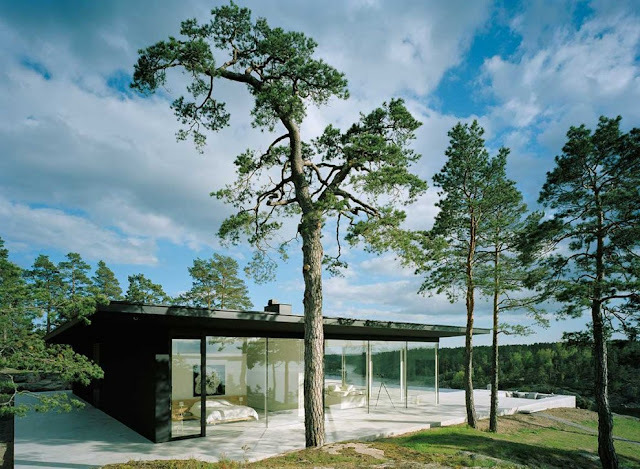 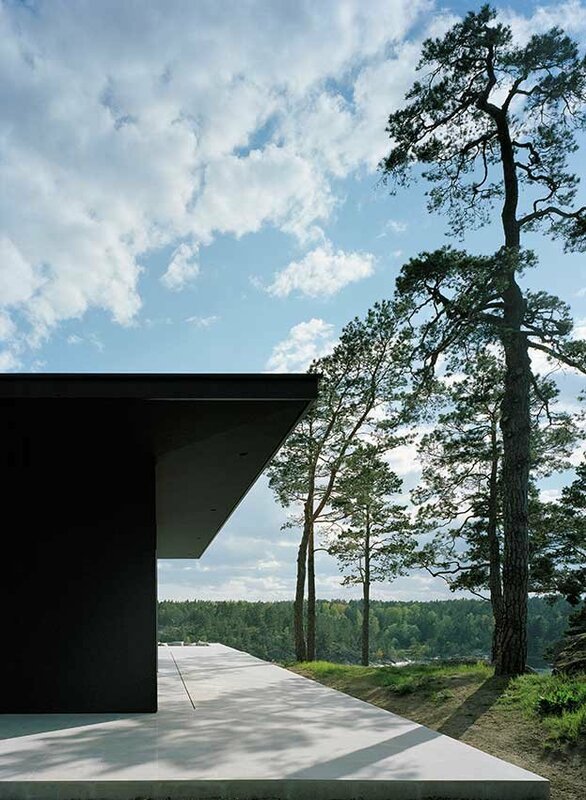 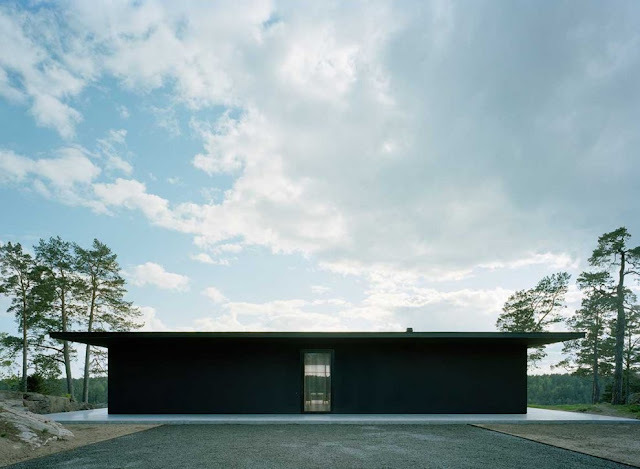 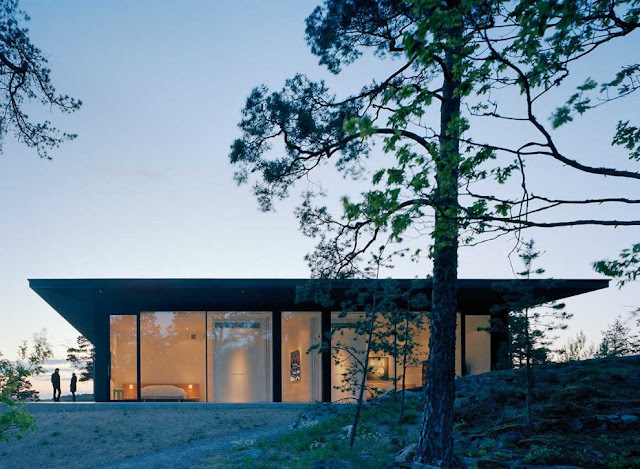 The creative idea behind the project was to create a concentrated and clear form in marked contrast to the Stockholm archipelago natural landscape. 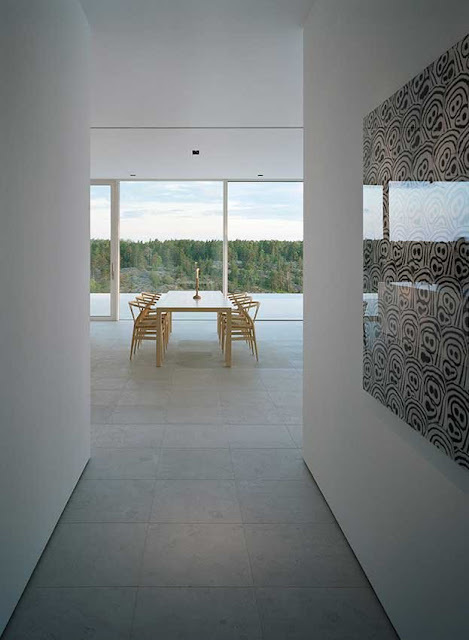 The presence of a limestone and concrete building, abstract for this location, also increases the experience of the local rich shades of nature. Behind the villa's clean lines hides an advanced technological systems. 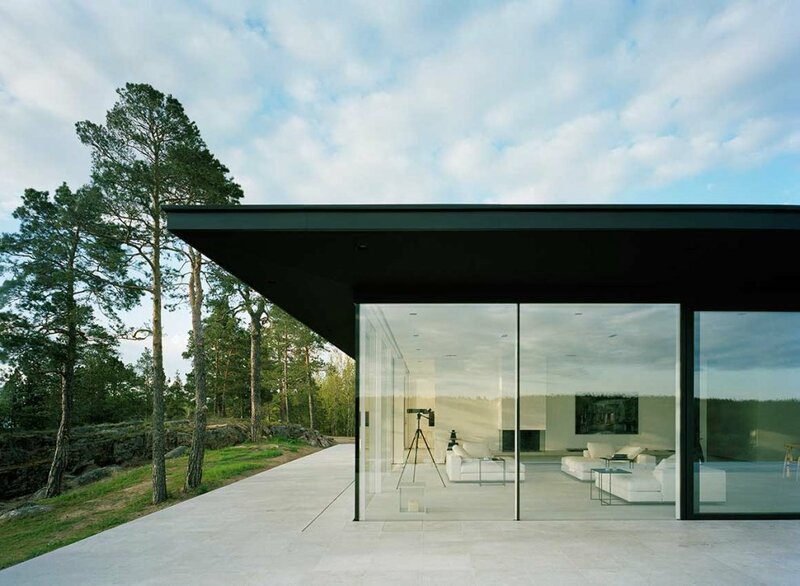 Air-conditioning or district cooling is pumped into the in-house units through the rock shaft, so air-conditioning is generally free of charge. 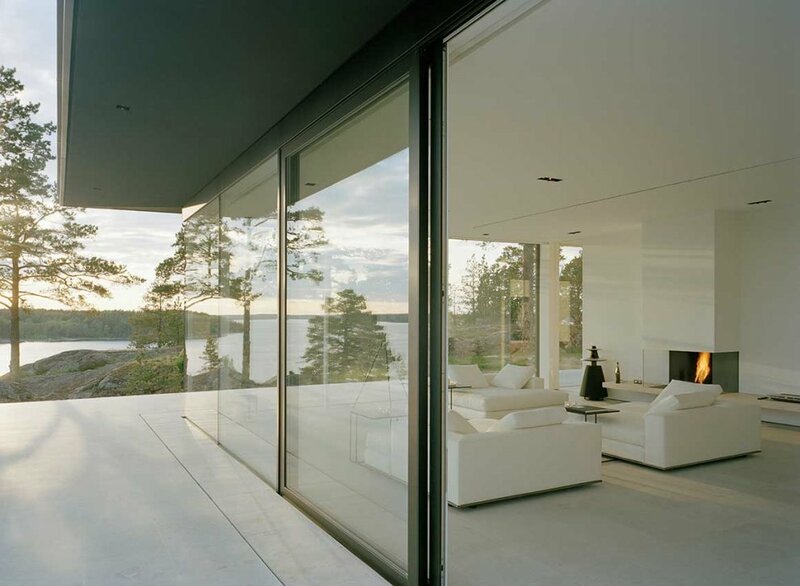 Heating for the hot water, outdoor pool and floors is produced by a heat pump. Tap water is taked from the bay and treated in a desalination system. 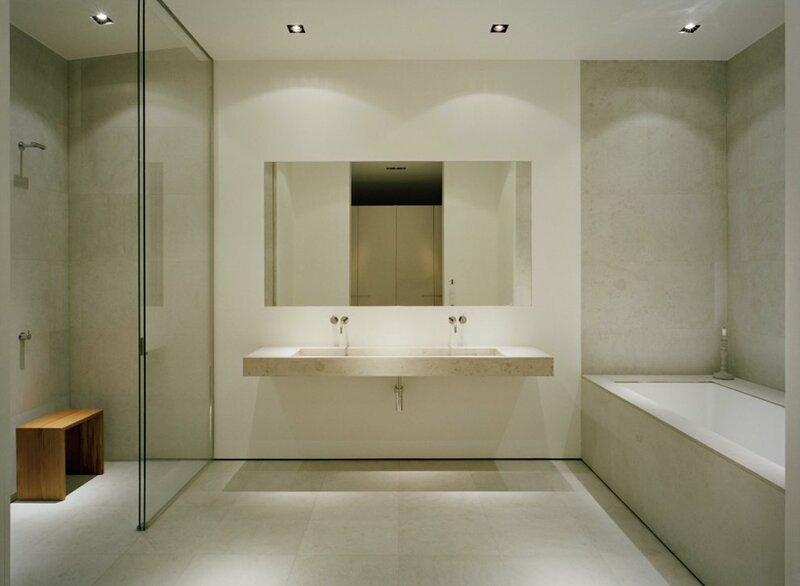 All engineering units are operated by a smart monitoring and control solution, controlled by owners via a mobile handset or the internet.